I don’t think there would have been too many people more happy than me if NBA Playgrounds turned out to be as good as the games it is based on. In my younger years NBA Hangtime, on the Nintendo 64 in particular (but also NBA Jam in the arcade, of course), was one of those multiplayer games that my friends, brothers and I actually wore out from over-play. It was an arcade sports game at its finest; two players on each side, pacey action, quick tactics, and, of course, spectacular dunks. There was the intensity of trying to get three unanswered baskets in a row, which would send your player “on fire”, making it much easier to down those all-important three point shots until the other team was finally able to score. There was the excitement of trying to stop the other team from getting to that point and then paying on the points thick. And then there was the simple joy of having a character on your memory card that you’d slowly build up with points earned in matches. Everyone would practice hard on building their characters up, and then come together to test them out against one another. It was the perfect environment for trash talk, controllers pulled out of their sockets at the most critical moments (sabotage! ), and night-long laughter. 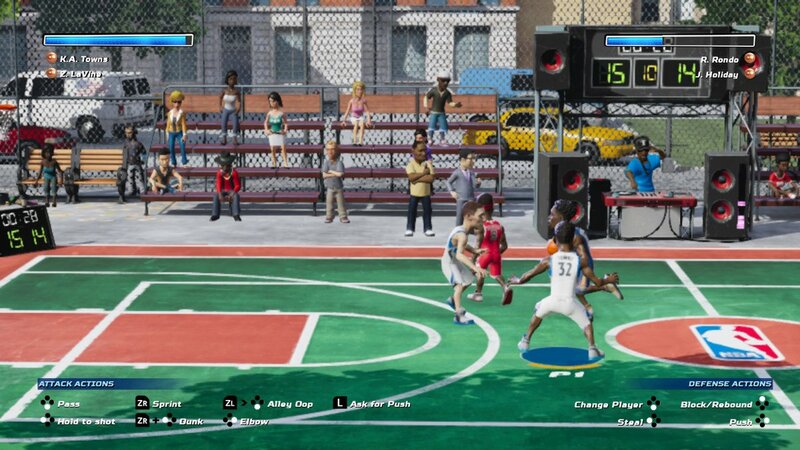 NBA Playgrounds, on the other hand, is a clunky, clumsy mess. Let’s start with the technical bits and pieces; the stuff I usually don’t care about, but in this instance let the game down at every turn. For an arcade game, to have loading times that feel like they’re around a minute long, when each match only lasts for three minutes, is a terrible ratio. It makes little sense that the loading times would be that long, too, because in-game there doesn’t seem to be anything that’s actually pushing the hardware. Characters are ugly, clunky models, and look fuzzy on the Switch's screen, as though the developers have done that old television trick of smearing vaseline over the ‘camera’ to try and hide how ugly they really are. 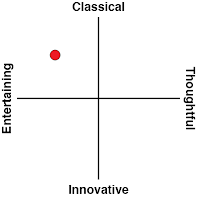 The moment-to-moment play isn’t particularly interesting, either. At the most basic of basic levels it all works - it’s possible to pass the ball back and forth, and the success of shots is determined by pressing and holding the “shoot” button for just the right length of time. Let it go early or late and the shot will probably miss. But there’s nothing fluid or engaging about this. Characters move around sluggishly when the turbo button isn’t held down, and the turbo energy runs out far too quickly when it is pressed. With only two players on the field at once, the passing and tactical game is obscenely simple, which would be fine if the game was fast paced, but it’s not, so it’s not okay at all. Previous NBA games were well known for rubber-banding AI. Start to get too far ahead and the other side will suddenly become incredible. 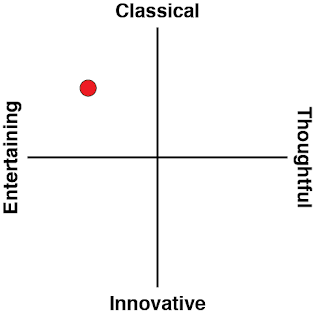 Then, once the AI has taken the lead, they'll let you catch up by making point scoring easy again. I’ve never liked rubber-banding AI, which is why NBA games were always best played in multiplayer, but in this one, the rubber banding is especially bad. If you're ahead by ten points you can look forward to the AI somehow latching on to everything, pulling off incredible shots, and stealing from you with free abandon. I was losing matches from just the third ‘level’ in the single player because of it, and while the difficulty probably needed to be high, since there would be only just over an hour of single player content if each match were easy (and that's including the loading times), the artificiality of it all had me wanting to throw my Switch through a wall very early on. Unlike a controller, replacing a Nintendo Switch would be expensive, too. The single player experience offers an exhibition mode, allowing you to pick the four players you want to take to the court, and a career mode in which you need to complete a handful of “tournaments” by winning a few matches in a row. That’s it. That’s the entire game, aside from a bare-bones online multiplayer game. Winning matches earns you packs of cards, and these packs of cards have new players to add to your team. It’s a system cribbed from many major sports franchises now, but here it’s just an irritating way of forcing people to play more and more matches in the hope that they’ll fill in gaps in the rosters. 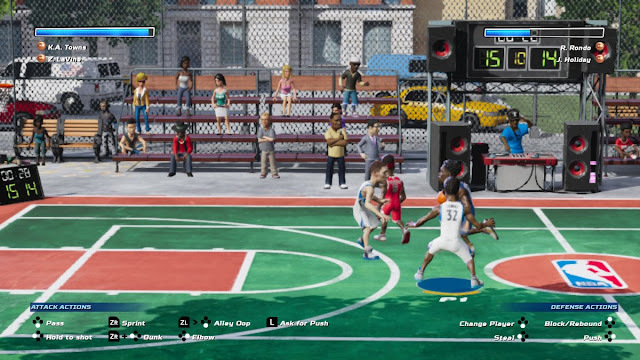 Similarly, where NBA Hangtime had a simple, but effective, leveling system, allowing players to add points to a number of different statistics as they ‘leveled up’, the much newer NBA Playgrounds gives characters a couple of extra moves each time they ‘level up’, with no input from the players. To call this all “shallow” is to do it favours. Is it possible to eke some fun out of the game in multiplayer? 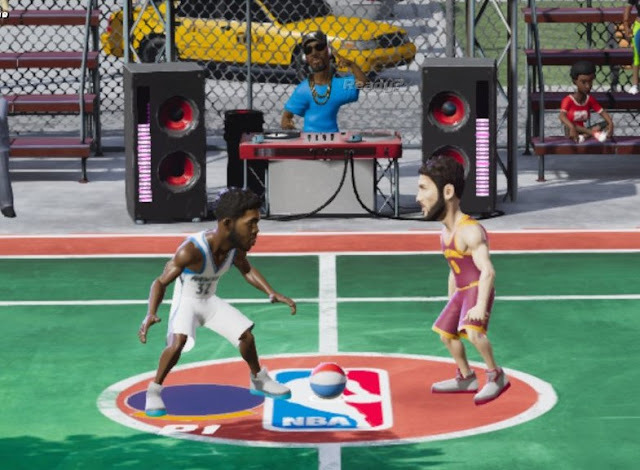 Sure, but the general lack of personality and charm makes NBA Playgrounds a far drier experience than an NBA arcade game should be. The need to fill the 30 second loading screen between each match with conversation also tends to dull the momentum of playing a couple of games back-to-back. You’re better off dropping the difficulty settings of 2K’s NBA games to the minimum and turning that into a de facto arcade experience. A new NBA arcade game will always be something to get excited about. Many of us have fond memories of dropping coins into those arcade cabinets back in the day. A game that can capture that raw sense of fun, while modernising the more archaic elements would instantly become one of the most entertaining games of the year. 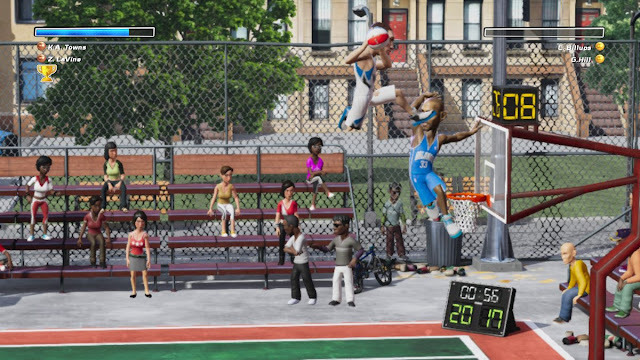 I’m sure the developers went into NBA Playgrounds with the most noble of intentions, but this game is not the NBA I remembered. This game is one that young me would never have considered to be worth my allowance.